Dig into farm-to-fork cuisine showcasing Florida’s fresh flavors -- all crafted from recipes by an award-winning celebrity chef. 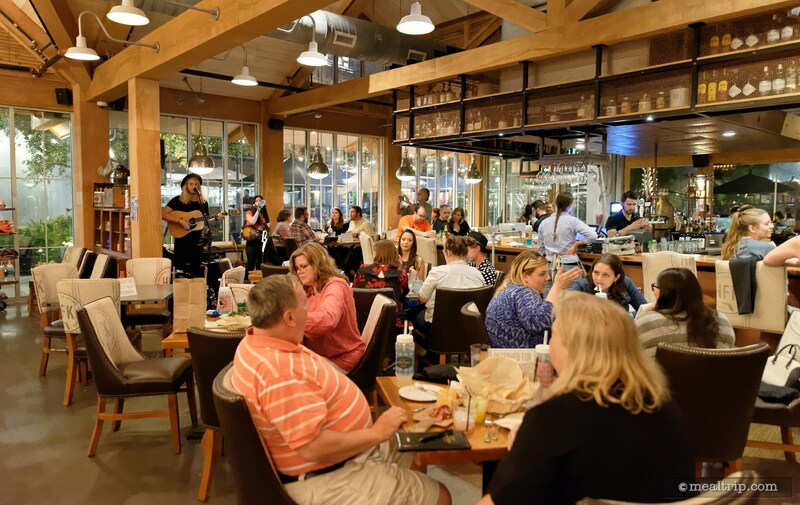 Now that the dust is starting to settle over the shiny new Disney Springs, I've started adding the many dining locations to the directory here at Mealtrip.com. (No, no we're not a source for "breaking" news and rumors -- we're more about what you're actually going to find when visit these locations.) 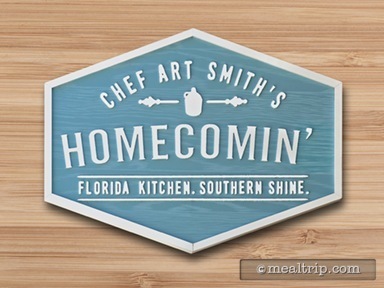 Disney Springs even has it's own main menu link in the Mealtrip menu bar now! 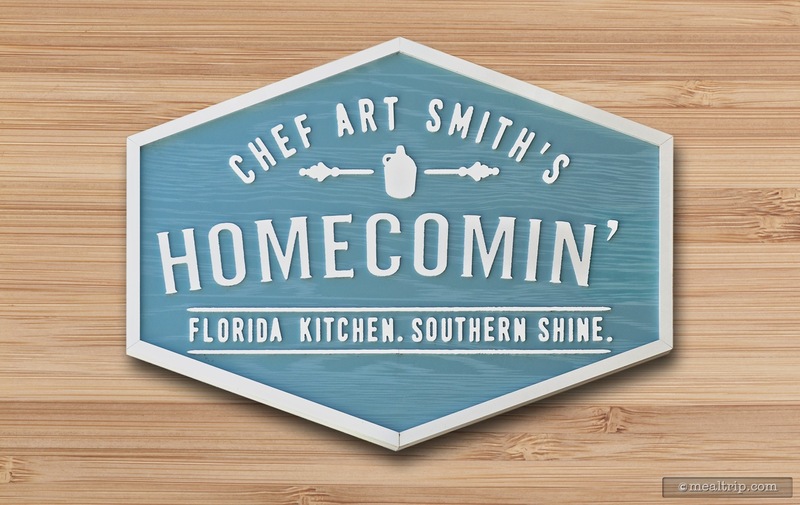 Chef Art Smith's Homecomin' is a location that I'm asked a lot about. 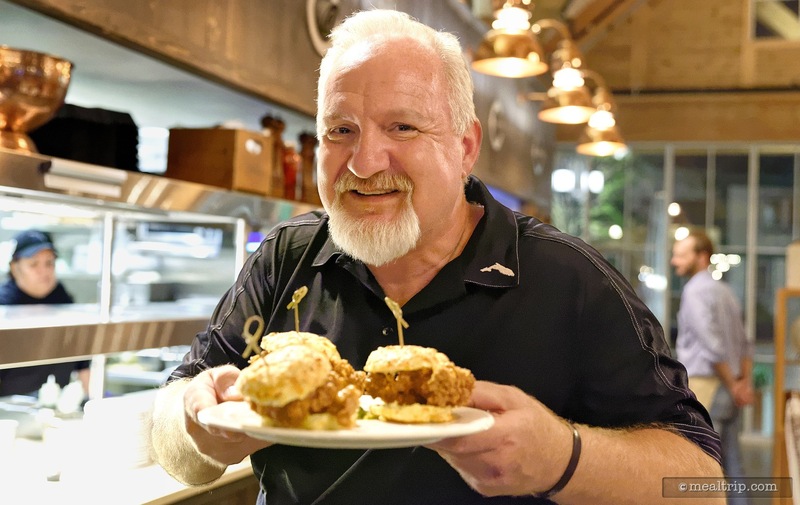 While I have experienced some of Chef Smith's culinary creations at various events over the years, I have yet to eat a full, sit-down meal at Homecomin'. It's something I really want to do, because Chef Smith's small plates and sample entrees that I have tasted at various events, have all been pretty great. I had the opportunity to go to an event at Homecomin' called Saturday Night Shine a couple weeks ago, that featured a new "small plate-ish" menu (i.e. 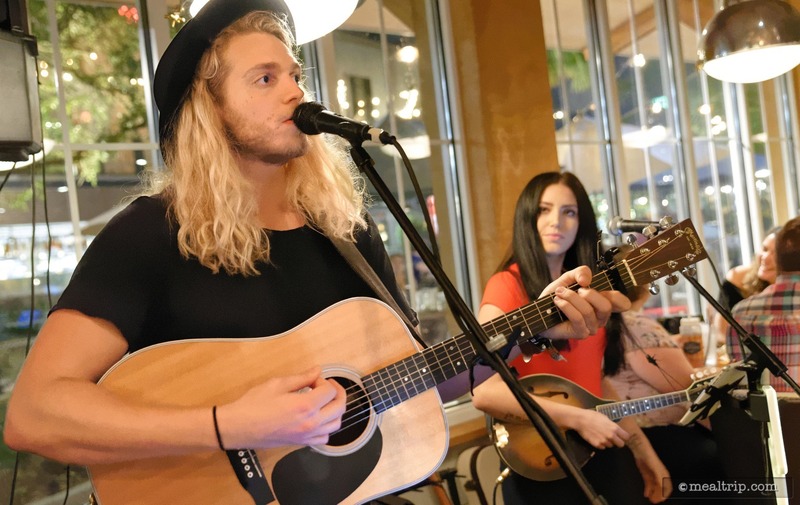 bar food), a live band (duo), and a celebrity guest. I'm not sure if "Saturday Night Shine" is still an "event". I am thinking -- they had two of the "event" nights, maybe three -- but I can't find much mention of the event now. 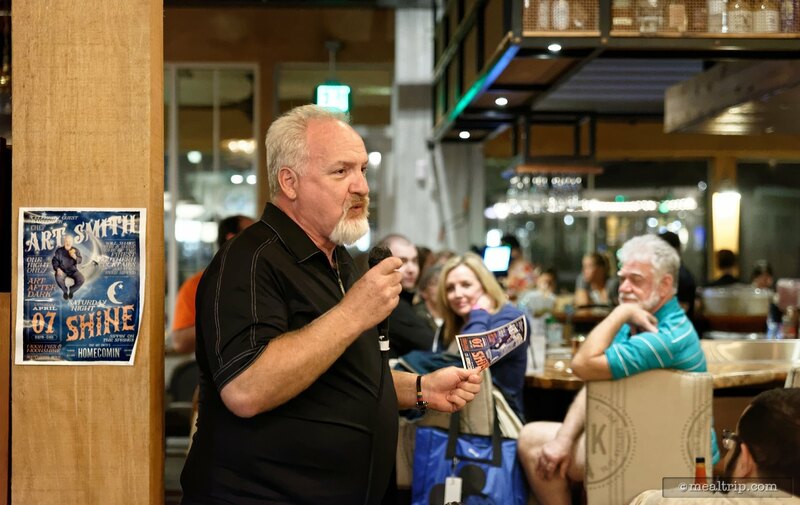 Chef Art Smith was present at the first event, and it's always great getting to see Chef Smith. I have to say, I like the place. 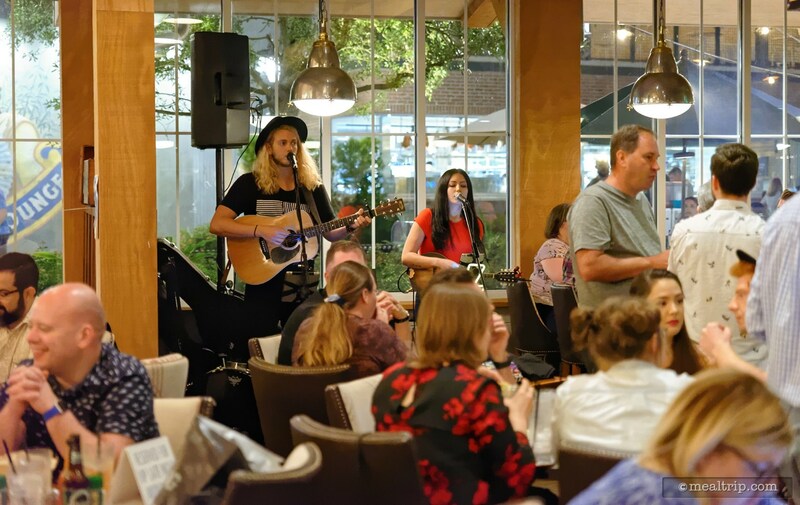 The environment is great, the waitstaff was good, the band was good -- although, since I'm not sure if the band and/or the new small bites menu is tied to the "event", or just Saturdays, or just after a certain hour on any day, or??? Just the same, I think the photos of the food, interior, and Chef Art Smith make a valid additions to the directory. I really want to go back to Homecomin' for a proper meal from the full menu. 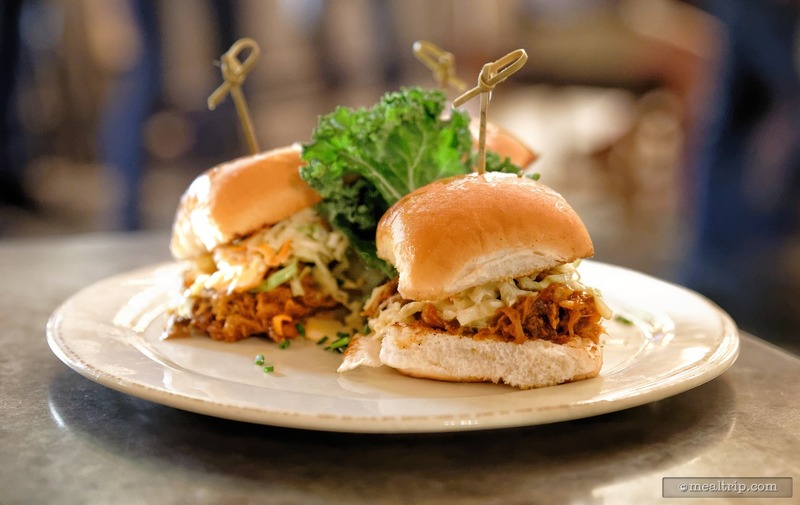 From what I know about Chef Smith's food, it has always been pretty amazing … but I'm not sure bar food is exactly the right platform for exploring that culinary goodness. 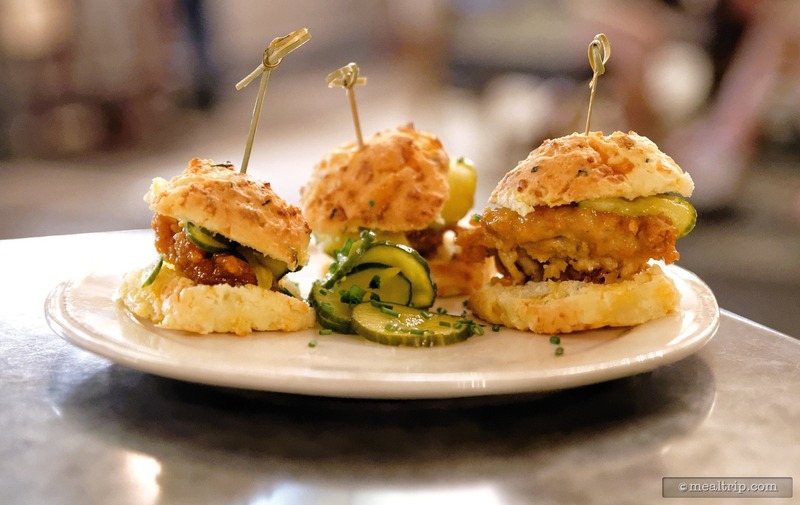 As a general rule, my impression of most bar food is something akin to a tablespoon size lump of protein surrounded by a lot of bread… and neither one of the "slider" type items on the "Saturday Night Shine" menu rose beyond that level. 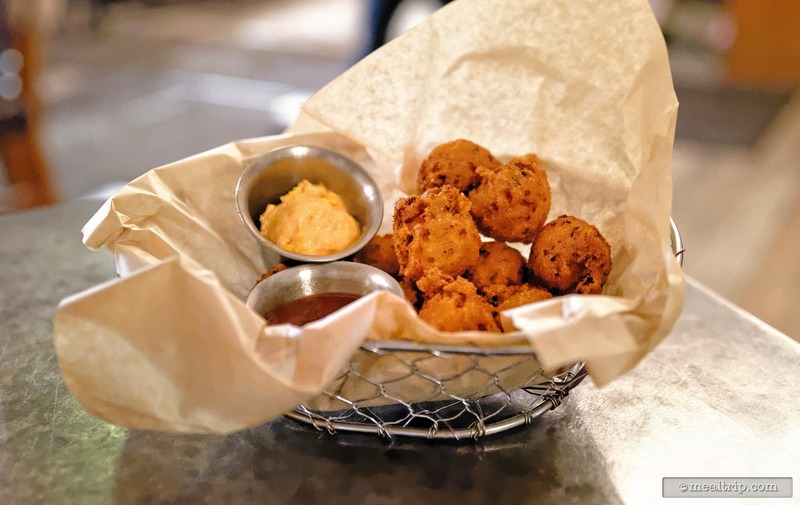 The "Bunch of Puppies" (house made hushpuppies) were good, but a little undercooked, and served with two nice condiments, a pimento cheese for spreading and a jalapeño jelly for dipping. 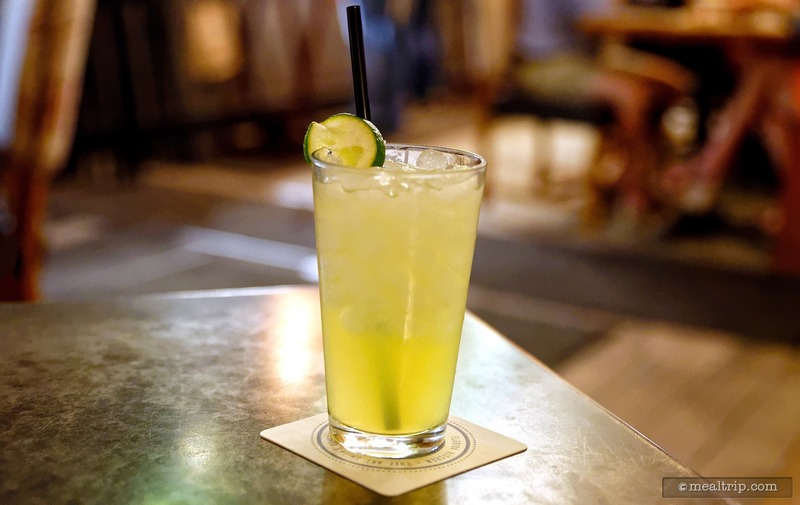 The "Moonshine Margarita" was as strong as it needed to be, although from a hard-line cocktail standpoint, it was a little one-note. There are so many amazing sounding entrees on the menu, I'll for sure be visiting in the future to try out the full sized plates. I did notice, that this "normal" larger menu was still floating around, even though it was 11pm -- so my best tip here is, if you're visiting Homecomin' late at night and someone hands you a small menu -- ask if the full menu is still available. My gut feeling is, it probably will be.